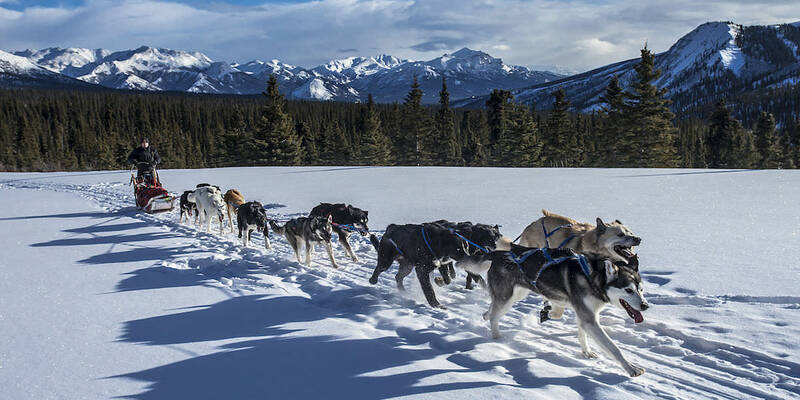 There isn’t much more of a wilderness experience than being pulled by a team of dogs through the snow filled Rocky Mountains. Both kids and adults can enjoy this unique experience. There are a couple of dog-sled tour operators in the area that offer half and full day adventures you won’t soon forget. Some tours start in nearby Slate River Valley or Washington Gulch. Need a place to stay? 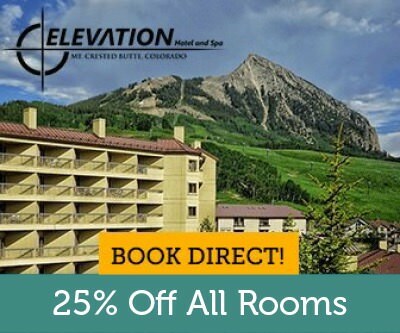 Find the best vacation rentals at the lowest prices with Crested Butte Lodging. 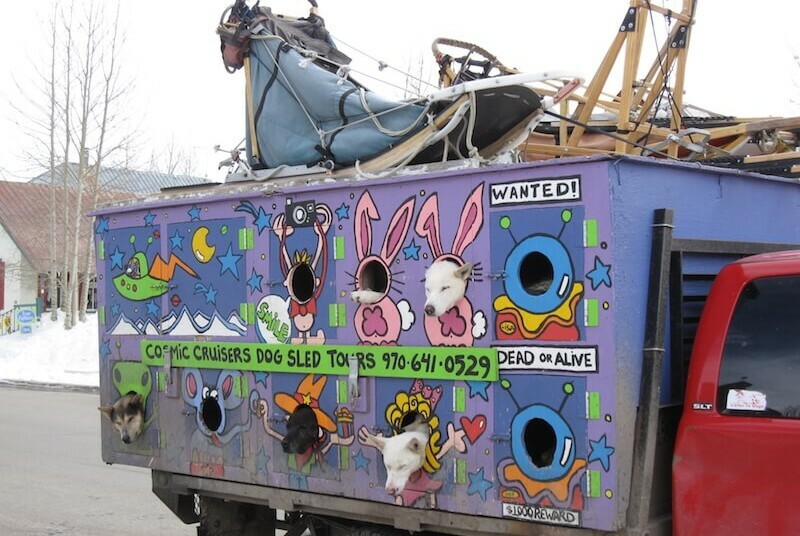 You probably have seen the colorfully painted truck roaming around Crested Butte or Gunnison with dog heads poking out of the sides. These amazing athletic dogs will take you over 11,000 feet into the remote wilderness near Crested Butte. Their base camp is conveniently located up Washington Gulch Road. Cosmic Cruisers is a family-friendly activity, and even kids can drive the sleds. Partial tours or all day tours are available. For rates and more information check out their website. Want a small taste of what mushers deal with on the Iditarod Trail, or maybe want to tag along for a viewing experience of Gunnison Country, then this once in a lifetime experience is waiting for you. 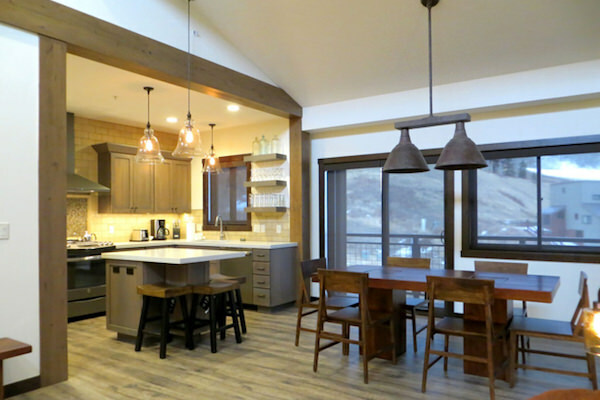 Kids and adults will be towed in a large sled by friendly Alaskan husky dogs, traversing some of the most pristine areas of the Gunnison County. Adult trips are $165 or $225 for lunch trips, and $150 or $200 for kids under 12. For more information check out their website.